These presentation slides 42319 are complete compatible with Google Slides. Simple download PPTX and open the template in Google Slides. 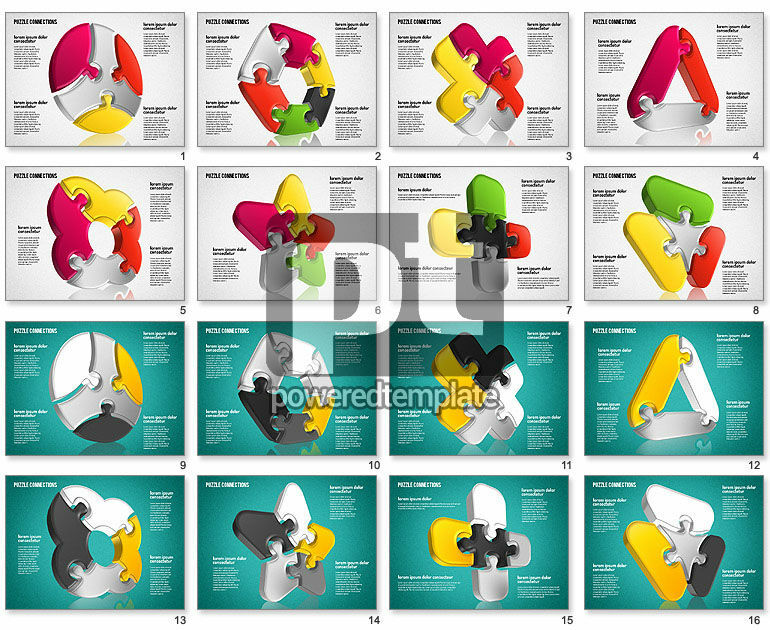 Meet this superb 3D theme with a quantity of items which will make your presentation perfect. It is suitable for visualization of your information, such as reports, growth plans, action plans and success strategies. There are colorful figures connected like puzzles in various shapes with two variations of color palettes and two background color solution and both look amazing.